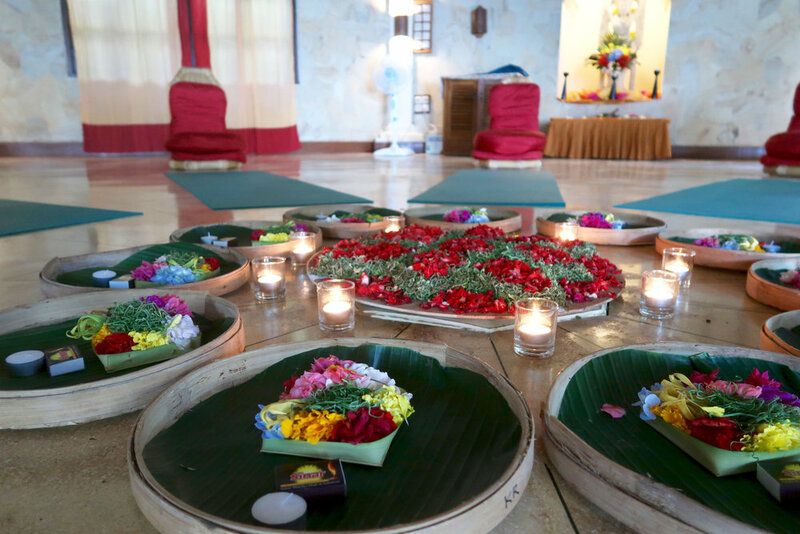 spiritually rich yoga retreat on the tranquil Isle of Bali!" Moments later, you enter the shala to the melodic sound of a stringed instrument --- not so different to a harp. Its soothing notes transport you into to an even deeper space of serenity. Throughout the guided yoga and meditation practices, you move effortlessly, naturally, peacefully. Your body and mind revel at this opportunity to let go and return to the rhythm of your true nature. Only moments later --- or so it seems --- you emerge deeply nourished and satisfied, ready for even more relaxation. Later that day, sinking into a beachside daybed, you find yourself smiling with delight as you sip on a fresh lemongrass tea, reflecting on the highlights of the past few days. And those highlights Include: rubbing shoulders with the locals; playing music with the village children; taking part in spiritual cleansing rituals; luxuriating in sensual spa treatments and dining on scrumptious cuisine. 7 glorious days if you’re..
Yearning to regain that balance in life you so deserve? You got it! 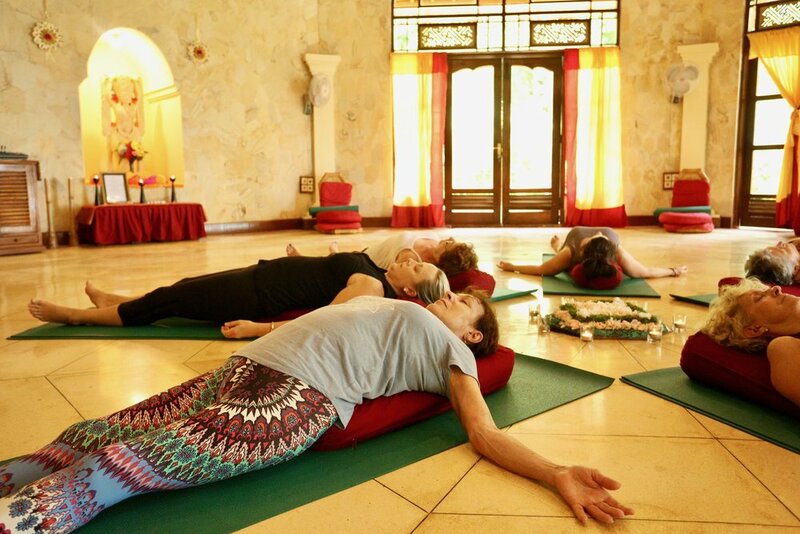 With restful yoga and meditation in the heart of a peaceful island paradise, we'll help you slow down, nourish your body and recharge your soul. Longing to experience the deepest of relaxations possible for your body, mind and emotions? You’re in luck! No retreat is complete without a daily dose of the deep relaxation practice, Yoga Nidra. It’s equivalent to 3 hours deep sleep done in only 30 minutes. You’ll love it! Ready for that life of less stress that you’re so worthy of? Desiring the serious YOU time, that you truly deserve? You have the time to choose how to unwind! Hankering for some serious self-care to restore your mojo to its magic charm? Okay, I need this, sign me up right now! It’s an ancient land steeped in myths, exotic rituals and a rich colourful culture that sets a mood, an aspiration, and a tropical state of mind. Tejakula means "the light of people". What better place to lighten your load? 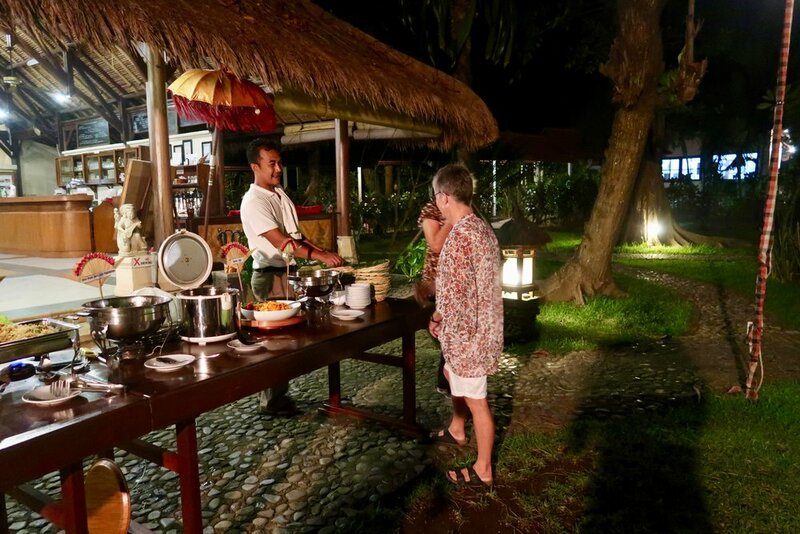 You’ll enjoy 6 glorious nights at Gaia Oasis – Pantai Beach Resort, relishing exotic food, culture, spiritual water cleansing, spa treatments, yoga, meditation … and some serious You Time! I have hand-picked Gaia Oasis for its beauty, location and nurturing environment. You’ll be nestled on a secluded beachfront in one of eleven uniquely designed Balinese-style bungalows. The bungalows are beautifully constructed out of bamboo, natural stone and wood, and some have traditional Alang-Alang grass roofs. 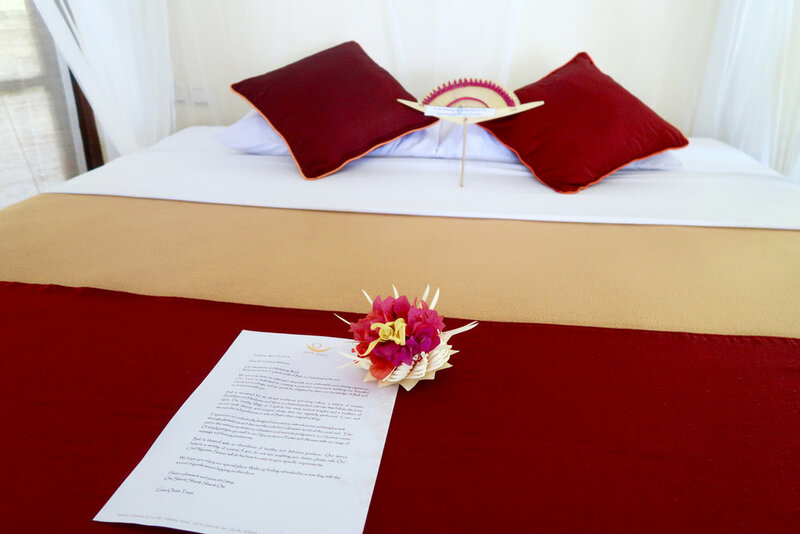 The bungalows themselves are uniquely designed to maximise airflow and natural ventilation with open-air bathrooms, mosquito nets, and your own balcony day-bed. Think of Julia Roberts in Eat Pray Love. However, no tourists or touts to be seen! MORE THAN YOUR AVERAGE RESORT. Gaia-Oasis is far more than your average beach resort. 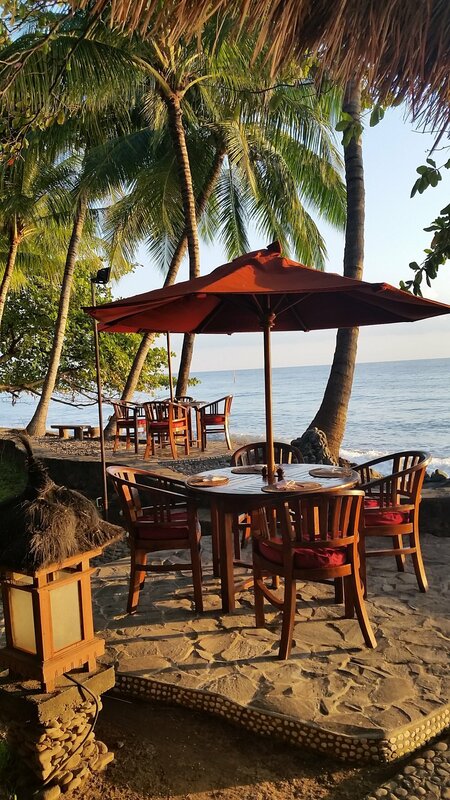 As well as being an idyllic retreat location, the resort is a non-profit organisation which works to restore and preserve the environment, culture and education of people in the local village of Tejakula and the surrounding area. Your pdf for the RELAX, REJUVENATE, REJOICE Bali Yoga retreat is on its way to your inbox. If it isn’t in your PRIMARY inbox within 10 minutes please check your PROMOTIONS and JUNK mail. If there drag it into your primary inbox as I’m sending you are free gift. A deep relaxation audio practice you can do in the comfort of your own home. ORGANIC, FRESH, TASTY… Simply Delicious! Another favourite is the vegetarian or seafood Nasi or Mie Goreng, a rice or noodle dish topped with a mouth-watering sauce. Maybe you’d prefer something cool and refreshing? What about sipping on a fresh coconut taken straight from the tree or one of the best lassies (yoghurt mixed drinks) I’ve ever had. And yes I’ve had a few. Now, if gluten, dairy or other foods aren’t right for you – not a problem – Siasan and Subian will happily accommodate your nutritional needs, just let me know. 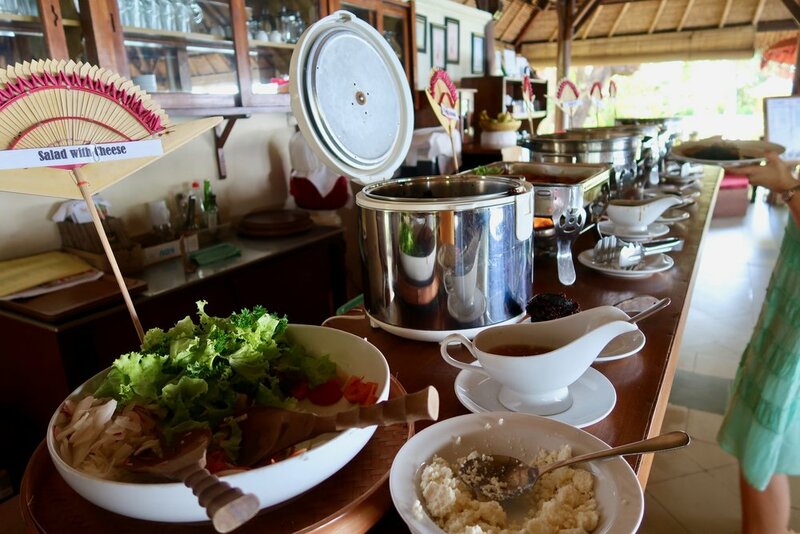 Delicious wholesome food is an essential part of your nurturing escape away! There’s something quite special about being on the water in a jukung traditional Balinese fishing boat for a sunrise dolphin cruise. The soft hue of colours, the gentle motion of the waves, and the sound of birdlife awakening to a new day. And if all goes well, a few frolicking dolphins just a stone’s throw away! A real highlight for me and so many others is the spiritual cleansing ritual of Melukat which means “to cleanse or purify”. Being cleansed with holy water infused with sacred flowers, and coconut water while the Balinese priest softly chants mantras to move your sole. Don’t you want to embrace this opportunity to wash away all that is no longer serving you in your life? Your body will never be the same! You’ll be smiling from ear to ear when you join the local kids of The Tejakula Sound School Gamelan Orchestra, banging away on percussion instruments. This is an initiative created to support the poor village communities surrounding Tejakula in keeping an ancient art alive. These kids really are talented! We always have a good laugh at ourselves, and it’s FUN! However, if you’re ready to embrace practices that create peace, harmony and bring joy to your body, mind and soul -- you’ve found your perfect retreat! As the week unfolds, you’ll discover your body is more supple, your mind more peaceful, and your energy restored. Best of all, get ready for that mental chatter to drop away, allowing you to go deeper (I’m NOT talking about the splits, or mighty backbends here) and discover an inner peace and joy that resides within. Imagine yourself as the sun rises over a shimmering blue ocean moving mindfully through postures (nothing too hard), balancing breathing techniques and a mantra meditation that brings about such serenity and a state of inner peace, that you’ll be begging me for more. Followed up at midday with a Yoga Nidra (profound relaxation). Yes, you'll be lying down. It is everyone’s favourite. Really, what isn’t there to love! There is so much to rejoice about on this retreat and it’s doubly rewarding knowing when you come on journey with Chetana you are paying it forward, supporting programs that help children in the local school, the Destawan Children’s Home, and also providing education scholarships. You’ll meet some of the children that Yoga For The Soul Retreats directly supports with food, clothing and educational needs. I LOVE PAYING IT FORWARD – Register me NOW! A great deal if you’re needing some serious YOU time and ready to Relax, Rejuvenate and Rejoice, as I have the antidote! Be immersed in yoga, guided meditation and a mantra practice that will nourish your body, mind and soul. Luxuriate in an amazing traditional spa treatments. You’ll definitely return home feeling replenished, rebalanced and recharged. Learn mindful breathing techniques which melt away the stresses of life, leaving you replenished, calm and centred. Let go in the daily sessions of Yoga Nidra. A supine meditation practice that is equivalent to 3 hours deep sleep done in only 30 minutes. One yogic capsule you definitely don’t want to miss. No phone calls or emails to respond to, no children to care for, no place to be, nothing but 7 glorious days of pampering for YOU to enjoy… Bliss! You’ll learn a simple mantra meditation practice, with profound benefits resulting in clarity of mind, so you can maintain balance and joy in your day to day life when returning home. Are you ready to invest in yourself on this tropical escape to Relax, Rejuvenate & Rejoice? I'm SO ready to be pampered...Sign me up! Delicious vegetarian/seafood resort buffet meals: from Lunch on day 1 to Breakfast on day 8. Luscious Balinese desserts and fruit for afternoon tea. Airport transfers to/from the resort. Designated pick-up point in Sanur. Transfer from designated Sanur hotel to retreat resort. Breakfast on day 1, and dinner on day 8 (but don’t worry, Bali has amazing food at incredible prices! Airport transfer from Sanur to airport on day 8. 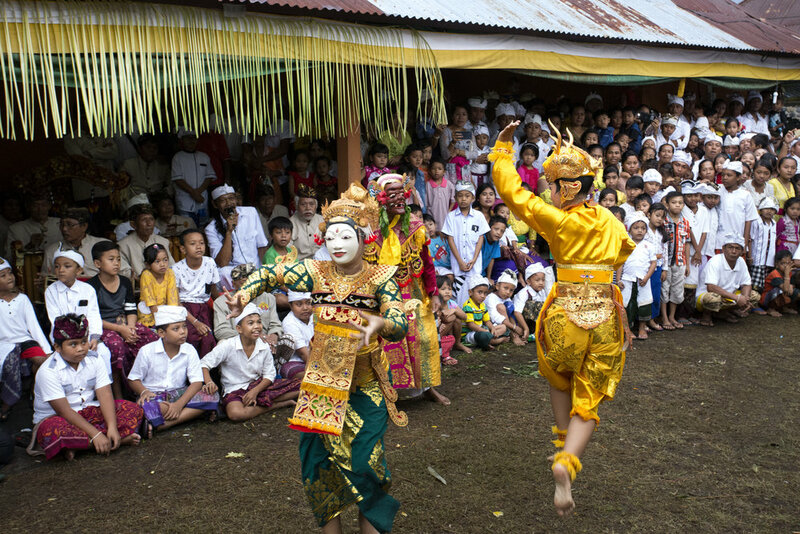 As Denpasar airport to Tejakula is a 3.5-hour drive north and the majority of flights from Australia arrive in the evening and the retreat begins at 3pm. You will be picked up from Sanur on the morning of the retreat at 9.30am and transported to Gaia Oasis Pantai Resort in time for lunch. Plan your departure flight for early / late evening. You’ll depart Tejakula around 1.30pm and arrive back in Sanur at approximately 5.30pm. Many people choose to stay on another night, do their last minute shopping and fly home the next day. I'M COMING BOOK ME IN NOW!! I'ld love to come to bali!! 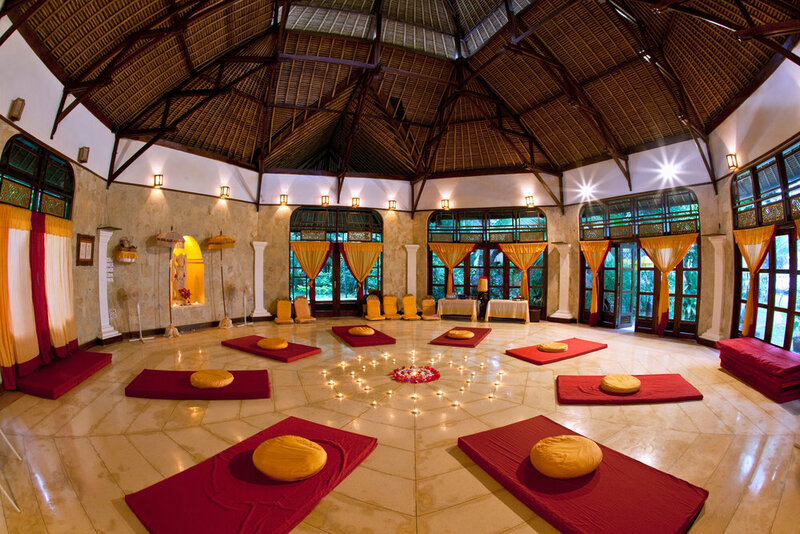 The ‘Yoga for the Soul Retreats’ Bali retreat experience far exceeded my expectations. The amazing location, accommodation, food and beautiful staff are sufficient recommendation for the retreat but the highlight for me was the daily yoga sessions. The carefully sequenced classes by Chetana were readily accessible physically but so beautifully groundbreaking on an experiential level. 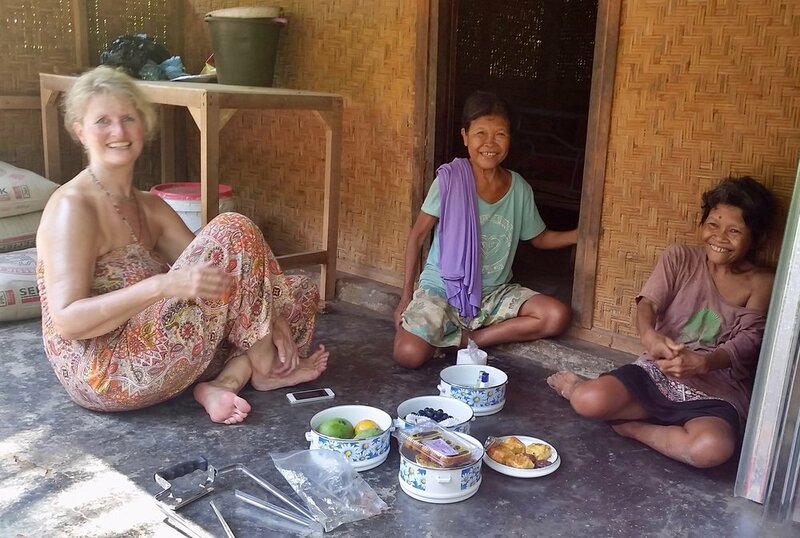 The opportunity to develop understanding and be part of the cultural and spiritual life of the Tejakula community was also a mind and soul enriching experience. The entire retreat package was wonderfully nurturing at every level. You'll be joining a small intimate group of 8 - 15 like minded folk on this retreat to Relax, Rejuvenate, Rejoice! The pricing below is based on TWIN SHARE, however a single bungalow awaits you if you wish. The single supplement is $260. Any cancellation made up to 3 February 2020 will result in a loss of the non-refundable deposit of $600. Any cancellation made between 3 February and 3 March 50% of the total trip price. Cancelations from 3 March to 3 May or no shows will result in a total loss of funds. We reserve the right to cancel the trip if it is not meeting the trip minimum (if we do your money will be refunded in full). If you wish to cancel your reservation, it must be done in writing or via email and the cancellation will be effective as of the date Yoga for the Soul Retreats receives it. Trip cancellation insurance is always recommended whenever making travel plans. 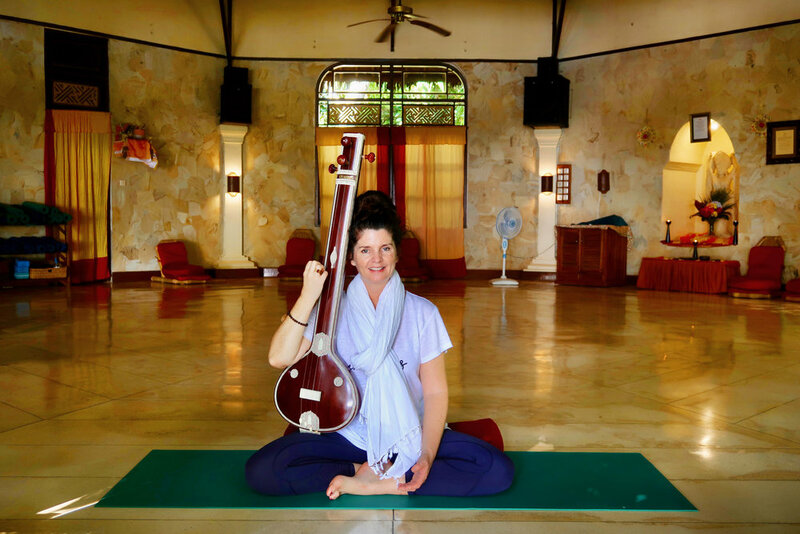 Bali Yoga Retreat ~ Relax, Rejuvinate, Rejoice!